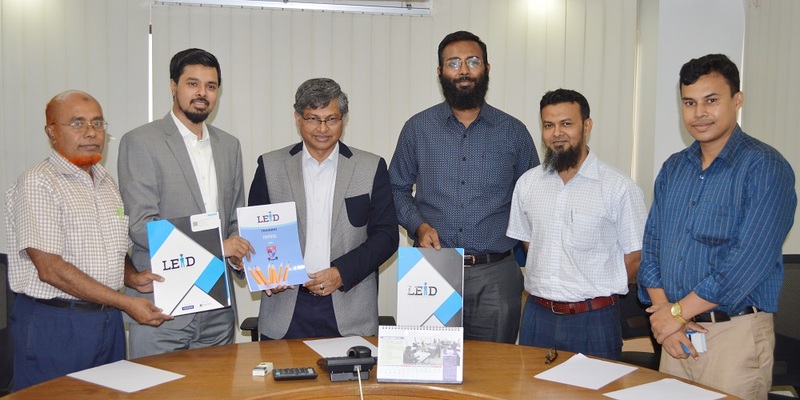 The Memorandum of Understanding (MOU) has set for the terms and understanding between Primeasia University and the Leadership Excellence And Development (LEAD) for mutual development cooperation and joint activities in future on Monday June 25, 2018 at its Board Room of campus Banani, Dhaka. The purpose of the MOU is to provide the framework for any binding contract on serving for successful partnership between Primmeasia University and the LEAD. The services of the agreement are to be rendered jointly by PAU and LEAD facilitating LEAD training program for all management and faculty members of PAU by IQAC; Making proper frameworks for future possible scopes with IQAC of PAU; Facilitating program for the students of PAU and data collection and research works cooperation to reduce the gap between the academic and industry. On behalf of Primeasia University, Vice Chancellor Prof. Dr. Abdul Hannan Chowdhury and Dr. Helal Uddin, Director of IQAC of the University have signed the agreement while Mr. Yahia Amin, Founder and CEO of LEAD has signed in the MoU as well. Among others, Dr. Mohammad Shahjalal, Addl. Director of IQAC of Primeasia University and official were also present in the signing ceremony.